The Partition of India or to be more accurate, the partition of Punjab & Bengal proved to be a blessing in disguise for Hindi & Urdu. Why? Majority (above 70%) Indian Freedom Fighters were from Punjab & Bengal. Andaman Jail was filled with Bengali revolutionaries. Had we (British India) stayed united, there would have been twice the number of Punjabi speakers and thrice the number of Bangla speakers. 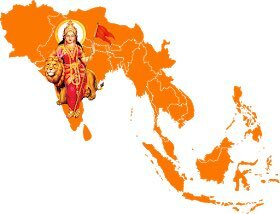 India would have had Four major Languages : Hindi, Urdu, Punjabi and Bengali. Though Hindi/Urdu speakers would have still been slightly more than everyone else, the much greater number of Punjabi & Bangla speakers would have ensured that the Central Government wouldn't have adopted Hindi/Urdu as one of its official languages. Instead of Uttar Pradesh, Bengal would have had maximum MPs in the parliament. Also, with a significantly larger audience for Bangla & Punjabi, there would have been greater demand for Popular Culture (Films, TV Shows, Music etc) in these 2 languages. Even Tamil, Telugu & Marathi would also have been treated as more equal languages by the Central Government as well as the Mainstream Media as speakers of Hindi/Urdu would not outnumber (in such an overwhelming manner) the speakers of the former 3 languages as they do now. Hindi and Urdu, languages born in same region are today slowly killing/choking other older & classical languages. Urdu is doing this in Pakistan and Hindi is doing this in India. 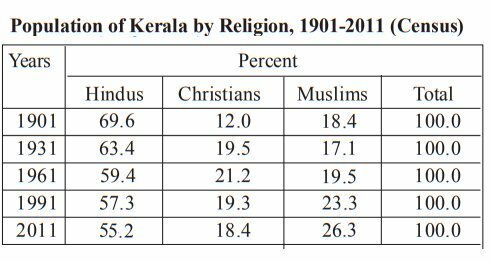 The Hindu Population of Kerala was 70% in 1901 and it went down to 60% in 1961. Why? 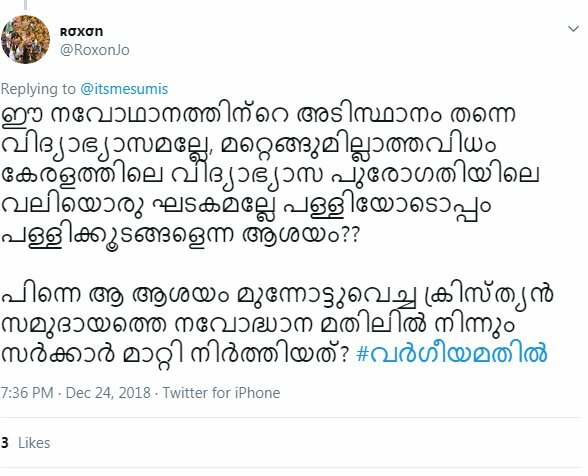 Casteism, the most brutal version. The Avarnas (Ezhavas, Dalits & Adivasis) formed 54% of Travancore population in 1901, yet they were denied entry into Temples, Schools & Travancore Assembly. Avarnas were even denied to wear clothes, denied to keep a moustache and were not allowed to walk on the temple road. In 1914, social reformer Ayyankali took the lead in admitting a Dalit girl named Panchami to the school. She was denied her admission and attempts to secure admission for Panchami resulted in a massive agitation. Many Schools were burned down. 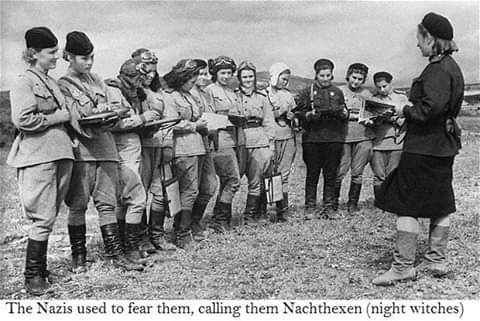 During World War 2, the Nazis were afraid of 46th Taman Aviation Regiment (An all female regiment of Soviet Air force). From mechanics to navigators, pilots and officers, the 46th Taman regiment was composed entirely of women. The women, most of them barely 20 years old, started training in Engels, a small town north of Stalingrad. The women of the 46th regiment flew their first bombing mission on June 8, 1942. The air raid consisted of three planes; their target was the headquarters of a German division (Wehrmacht). The raid was successful. 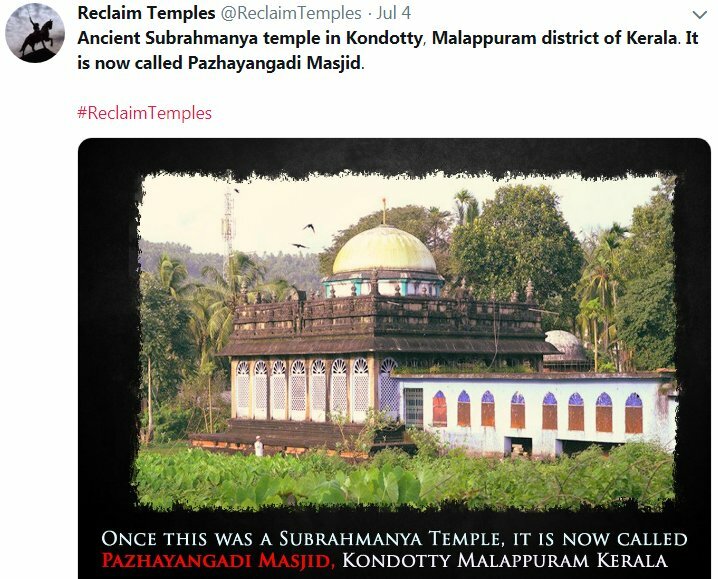 Fact 1 : Pazhayangadi Mosque was built in the 15th century. (Over 500 years ago). Fact 2 : Zamorin of Calicut (hereditary title of the Hindu monarch) ruled over Malabar for over 800 years till the arrival of Hyder Ali from Mysore in 1760's. Though predominantly a Hindu culture, the Zamorin’s kingdom was very much accessible to the influence of western/Eastern culture, for its mould was multi-cultural. From the historical times it had accepted the foreign elements of the Jews, Arabs, Chinese & other western cultures. In the Kingdom of Zamorin, a historian could find the synthesis of indigenous and foreign elements. New Synagogues, Mosques and Syro –Malabar Churches were built. It was a multicultural society. Someone need to defuse Congress’s “Freedom Struggle Contributions” myth, once and for all. We didn’t get freedom because of Congress, we got freedom in spite of them. 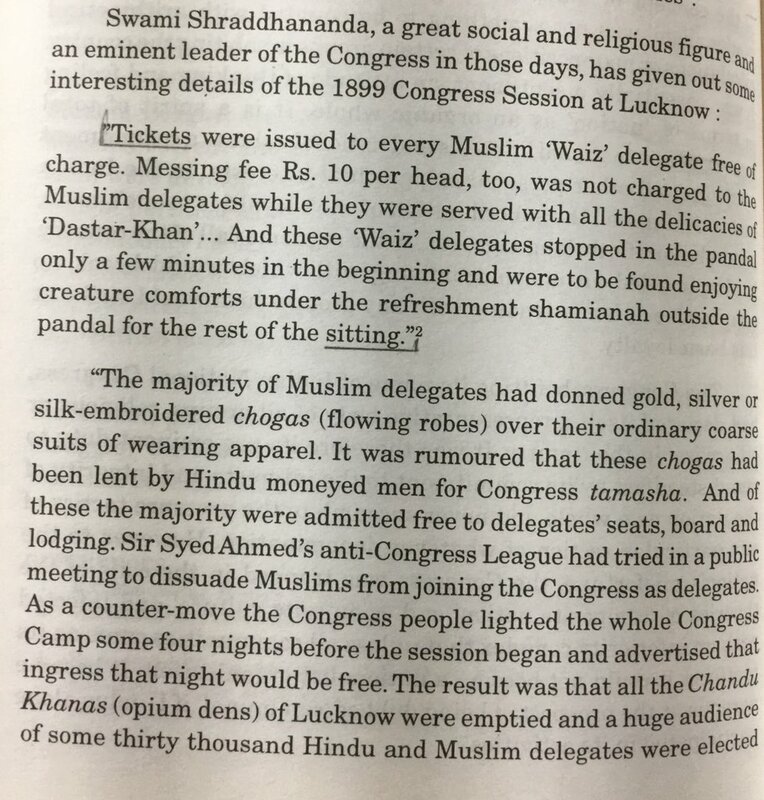 Congress gave us partition of Punjab & Bengal. Congress gave us Pakistan & Bangladesh. INC is India’s arch enemy. The myth of the indirect benefit of partition like: “Thank God for partition, otherwise, India would have been yet another Jihadi breeding ground” also need to be busted. Total population ratio in percentage of Hindus (apart from other Indic religions like Jainism+Sikhism+Buddhism) was higher than today (79%). Hindu population percentage was in mid 80s. So the Independence (Partition) of India was NO blessing in disguise. NOT AT ALL!